When we think about earthquake resilience, we imagine the sky scrapers and we think about high-tech infrastructure. We visualise the colossal tuned mass damper (in the form of a giant metal sphere) in the Taipei 101, the trusses used to resist torsional forces by Transamerica Pyramid in San Francisco or even the seismic absorbers built into the foundation of skyscrapers such as the Mori Tower in Tokyo. Our thoughts generally turn to futuristic methods of protecting our modern buildings from large earthquakes. But the Earth has been experiencing quakes at least since plate tectonics dictated the crustal dynamics and our ancestors have been learning how to cope with them for thousands of years. The first time I came across ancient methods of earthquake resilience was during my trip to Peru in Lima. 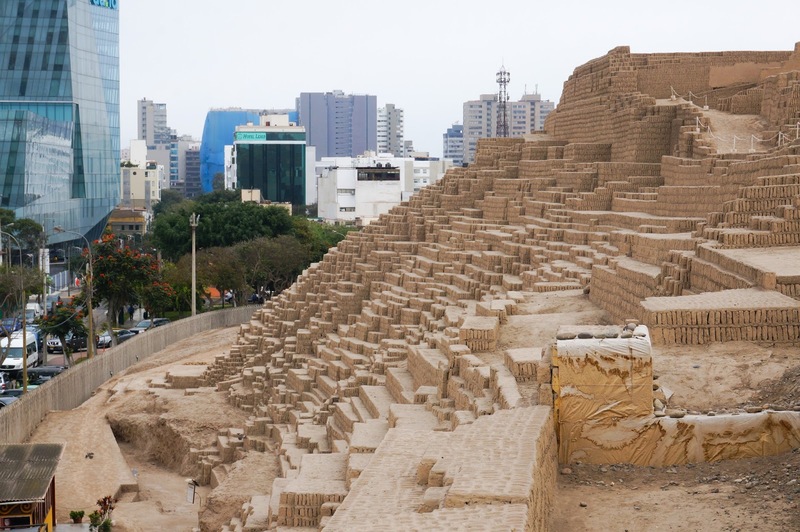 We visited the Huaca Pucllana sight in Miraflores, which is thought to be a religious site built by people from the “Lima Culture” (named as such because they lived in the region of present day Lima not because this was the name of their society) approximately 1600 years ago. The structure itself is formed like a stepped pyramid made from nine million mud bricks. The curious aspect of the building is that the bricks are stacked vertically, like books, with deliberate spaces between each brick such that the whole structure looks like a book shelf. A young boy in our tour group asked the guide why the bricks were stacked like that instead of the conventional horizontal style we’re used to seeing outside of this area. Our guide explained that this was how the Lima people mitigated the seismic activity that frequented the country: the space between the bricks dampened (i.e. reduced the energy of) the waves travelling through the structure thus preventing the pyramid from collapsing. It is likely that this technique is a modified version of that used in earlier structures. Huaca Huallamarca in San Isidro is another stepped pyramid structure also located in Lima but this site was built approximately 1,800-2,000 years ago. The main difference between this religious site and Huaca Pucllana is that the bricks were rounded. Yet the “inter-void” technique, seen later in Huaca Pucllana, was also seen in Huaca Huallamarca, evincing its earlier use here. 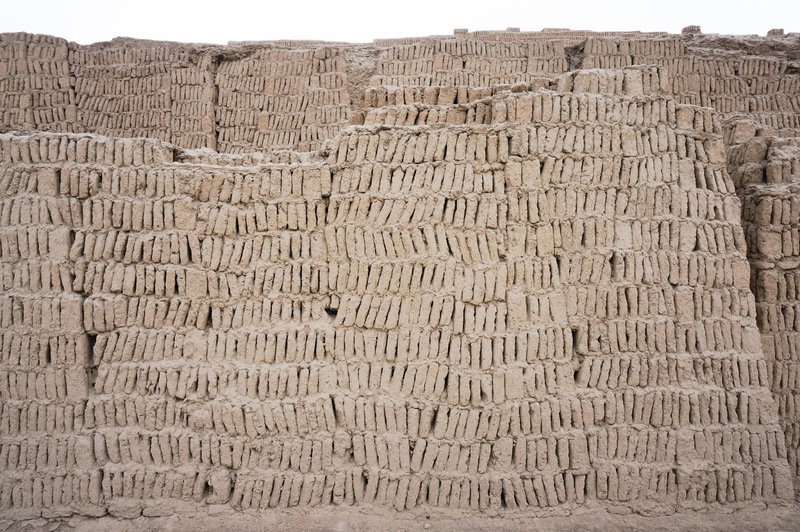 Sadly, it’s difficult to judge just how successful this technique was because Huaca Pucllana was neglected, allowing damage to the site. While the individual bricks may have been squeezed out of shape, the fact that the overall structure survived is a testament to this ingenuity. This had me thinking: what other evidence is there of seismic resistance in history? Now that is a nebulous question so let's go back to Peru for now. Further north in Peru lies the ancient city of Chan Chan, the capital of the Chimor Empire from 900-1470 AD, that was located at the mouth of the Moche Valley. In the centre of the twenty square kilometre city are nine large independent “citadels” or “palaces” separated by thick high mud walls that were decorated with friezes. This political centre was surrounded by 32 “semi monumental” compounds and four production sectors. It is believed that at the height of its kingdom, the ancient city was home to 50000-100000 people and it was the largest city in Pre-Columbian South America. 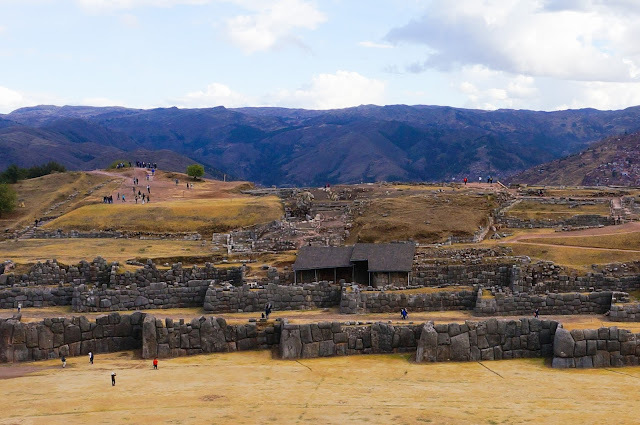 Yet all of this was abandoned when the Incans defeated the Chimu people in a bloody battle! So how did the world’s largest ancient mud citadel survive the seismic activity of Peru? The iconic Chan Chan walls are thought to withstand seismic activity due to their shape and size. The walls are tapered and thickened to 2.5 m wide at the base. They may have also been reinforced with “Guadua angustifolia” bamboo vertically and horizontally within the walls. There was also a suggestion that the adobe walls were strengthened with the use of expansion joints at every 5 meters. However, it is very likely that the width to height ratio plays the most crucial factor in the survival of the city walls and buildings. Then we have the Inca Empire which created the most spectacular architecture that still survives in Peru today. There were subtle techniques the Incans adopted to mitigate earthquakes. The windows, doors and rooms were built in a trapezoidal shape where the sides inclined inwards from the bottom up. It is likely that the Incans recognised that triangles are a “stronger” shape than rectangles because they help to disperse the stress during seismicity thus stabilising the overall structure. This is like the use of tapered walls in Chan Chan, but it is not the only technique that is reminiscent to previous kingdoms! Walls were built as two parallel lines of stone blocks that were filled with mud in between, which are thought to have a dampening effect on the seismic waves. And then there were large scale construction methods… The cities and towns of the Incas Kingdom that were built on highlands were typically buttressed by farming terraces. 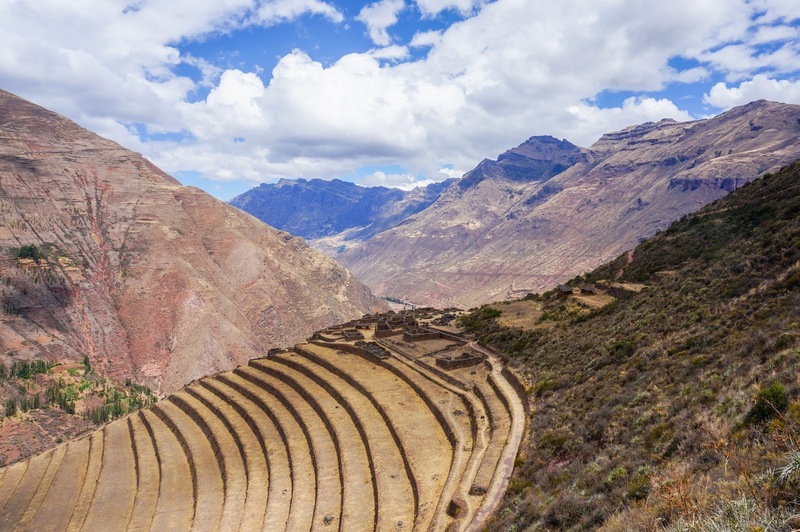 The farming terraces are an iconic part of Incan Architecture: each terrace is several meters deep, several meters tall and they were made by digging into the mountains. The main way this helped withstand seismic activity is that the steep sided mountains were replaced by flat stepped shape steps which reduced the chance of mass wasting (e.g. landslides), which stabilised the region it supported above. 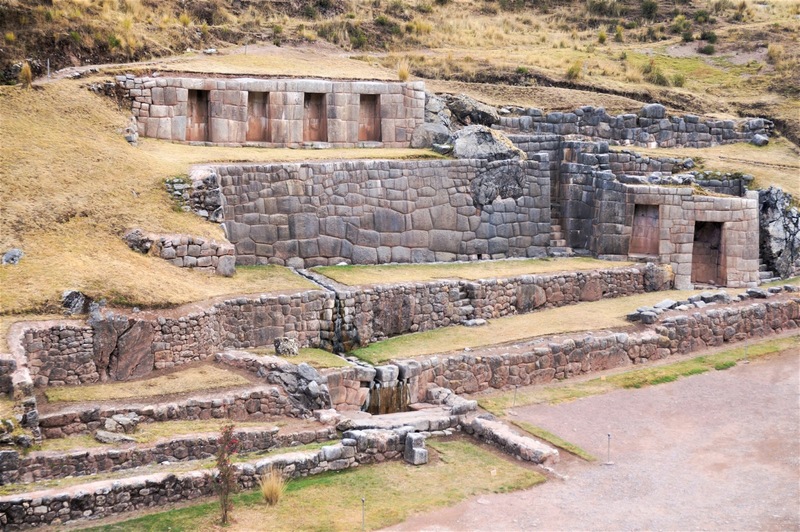 However, it is their masonry skills that give the Incas the fame in the world of civil engineering. Buildings were made from rocks that were uniquely cut and fit together like a jigsaw puzzle in such a precise manner, mortar was not needed to hold the structure together. This mortar-less construction prevented collapse during an earthquake: the bricks were free to shake but once the seismic activity subsided, the bricks would be forced back into place because they were specially cut to be in a certain position. The blocks were cut differently to each other in shape and size, compared to conventional bricks, but they fit perfectly with each other that it is often joked that you cannot even fit a paper between two stone blocks. Everything about this masonry technique of interlocking bricks, how the bricks were cut, transported and fit, continues to marvel people today. 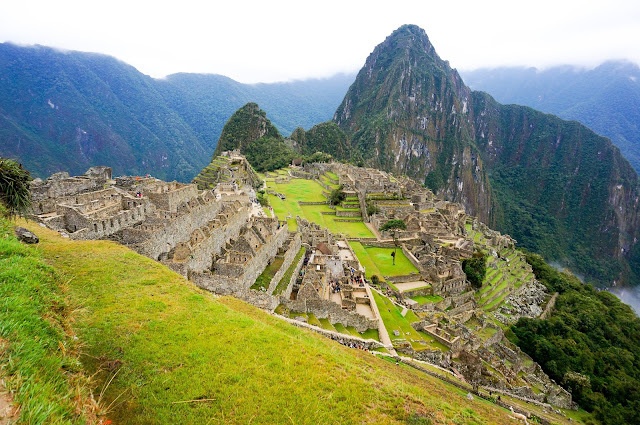 Macchu Picchu hosts the best examples of methods adopted to resist seismic activity. The Spaniards never discovered Machu Picchu, which is likely because the city was abandoned before the invaders arrived to the region; hence it escaped the destruction they brought with them. The Spanish destroyed as much of the Inca culture after the conquest. Buildings constructed by the Incas were taken down and individual stones would be transported to build new structures for the colonisers. 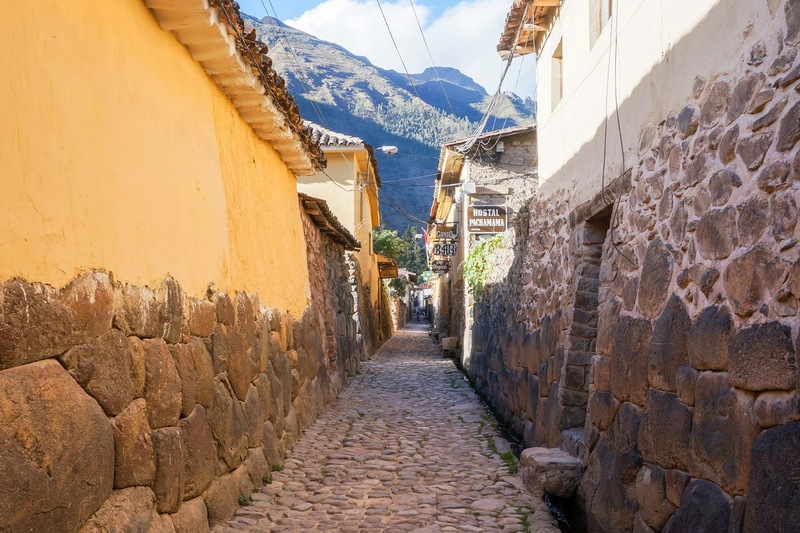 Sometimes the Inca stonework would be used as foundation and the Spanish would build directly top, so even today when you travel through Peru, you can see buildings with a clash of Inca and colonial architecture. The superiority of Incan civil engineering against contemporary western constructions were brought head to head during the 1950 Cusco earthquake: the Spanish church of Qoricancha was destroyed while the Inca base that it was built on remained intact. It's just one of the ways that the Incas were more technologically advanced than the primitive Europeans. 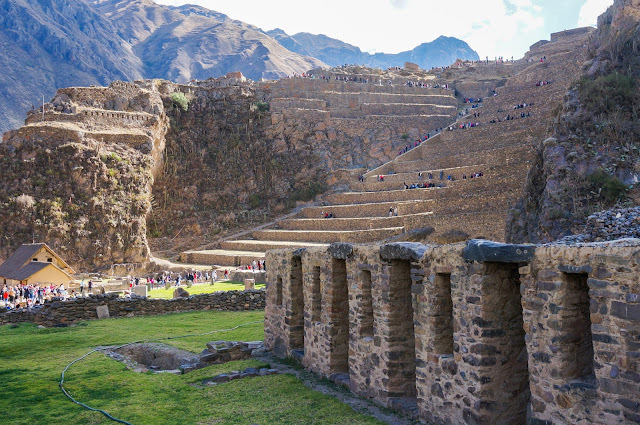 The Andes is the host of one of the cradle of civilisation, where "civilisation" was thought to have first developed, so it's no surprise that Peru is scattered with the ruins from a large range of time. The subduction of the Nazca plate under the South American plate makes Peru prone to Earthquakes so many kingdoms have had to adapt to these hazardous conditions. There are great examples of both small and large scale methods of mitigating earthquakes throughout Peru from the Pre-Columbian times and their survival today attests to their success today! Credits to Rishi Dutta & Jazmin Scarlett for editting.